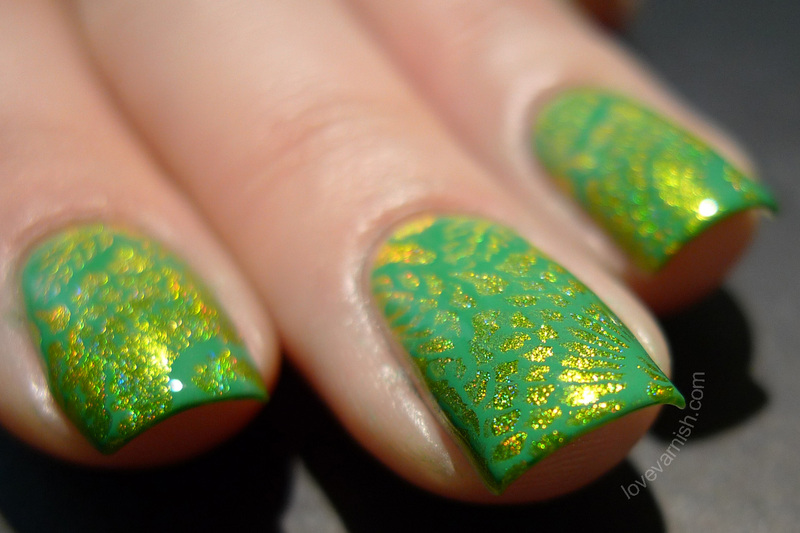 Love Varnish: F.U.N Lacquer Margarita Cocktail and Mowed Meadow nail art! 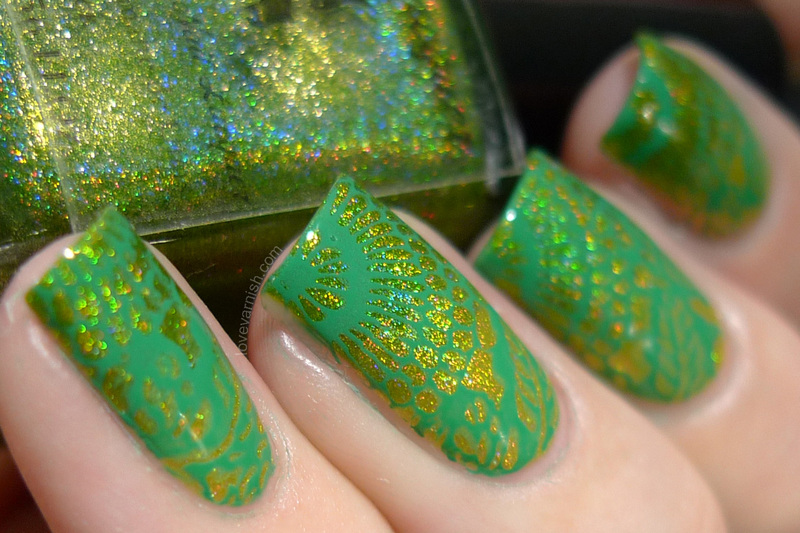 F.U.N Lacquer Margarita Cocktail and Mowed Meadow nail art! Hi loves! Today I have a super fun post for you, with some nail art I've had in mind ever since I received these polishes. I just love it when you see some polishes together and instantly get inspired by them. Also, the F.U.N Lacquer Summer 2014 collection will be released June 23rd so this might help you decide wether or not to get some of these ;-). The polishes I used are F.U.N Lacquer Margarita Cocktail and F.U.N Lacquer Mowed Meadow. I started with one coat of Margarita Cocktail as my base and let it dry. Then I used the polish brush and Mowed Meadow to roughly paint the top half of my nails (and also wrapped the tips with this shade) creating a "gradient". To make it appear more as a gradient, I used Margarita Cocktail again and added a second layer to the bottom half of my nails, slightly overlapping the other color. Because of the more sheer formula it blends a bit and mimics the looks of a gradient. 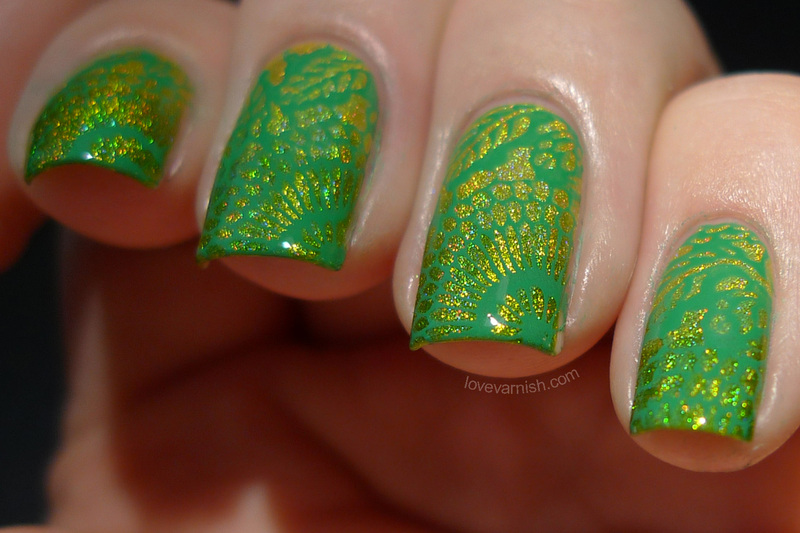 For regular wear this would not look pretty, but I knew my stamping design would be quite distracting so I took this shortcut :-D.
After this base dried, I used MoYou London Suki 05 and Konad Deep Jungle Green and stamped this leafy like image. Not sure what the circular pattern should represent but it looks pretty I think! Depending on the angle the "gradient" and holo peeked through the image which I really liked. I topped it with a coat of G&G HK Girl top coat. Next time I use this stamping image I'll try and position it more upwards, because there are more leafs at the bottom of this pattern which I like. 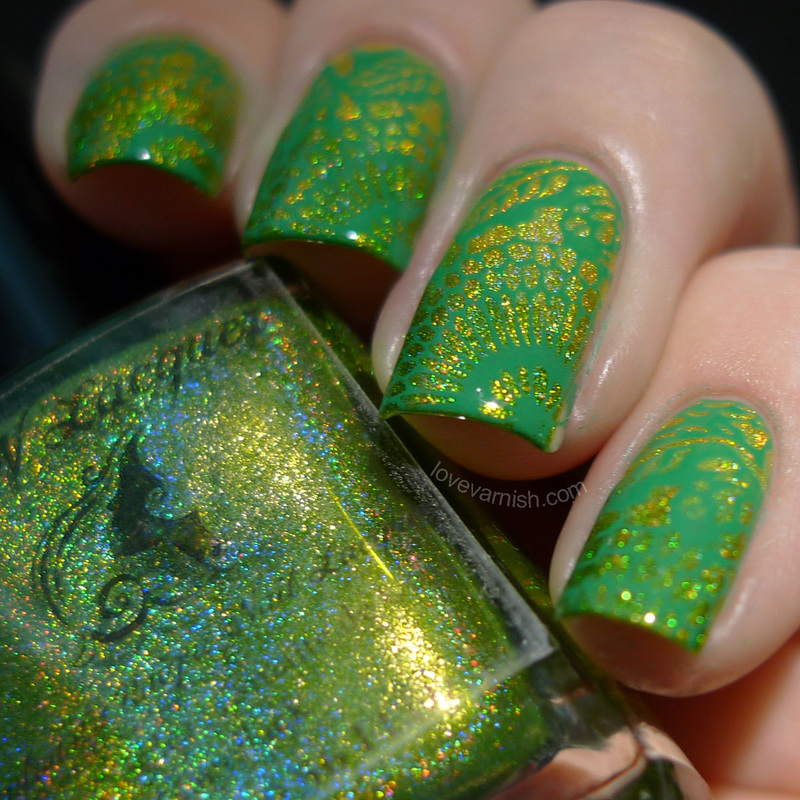 What do you think of this "gradient" and stamping combination? Something you'd try for yourself? Tell me in the comments! Love this, it looks awesome! Oh swooooon, this is so gorgeous!! This looks absolutely amazing!! I love doing gradients + stamping. You can be a bit more carefree with your gradients that way and not worry about them looking "perfect" because they are going to get covered with stamping, but the cool gradient effect still shines through!